Cassper Nyovest, Prince Kaybee to perform in Zimbabwe. 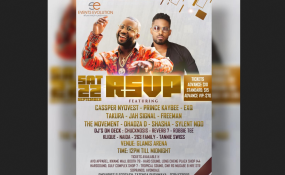 South African rapper Cassper Nyovest and house music sensation Prince Kaybee will on Saturday fulfil their bill at the Glamis Arena, organisers, Events Evolution, have reassured. The show, which did not happen in September due to a cholera outbreak, is scheduled to start at midday until midnight and features local musicians, including EX Q, Jah Signal, Takura and Freeman, among others. In an interview with The Standard Style, event director Fungai "Kush" Zvirawa said they were waiting for the day after ample time of preparation. "Nothing will stop the gig this time, come rain or sunshine we are going ahead and we have been preparing for a flawless show because Zimbabwe is at a place where everyone needs something positive like a concert with great musicians," she said. According to Zvirawa, the entire list of artistes slated to perform have confirmed participation with more artistes being added to the initial number. "We had to check with everyone after changing the dates and fortunately all the artistes have confirmed that they will be there, but we have added more like Tammy Moyo and Nutty O," she said. Meanwhile, tickets are pegged at $10 and $15 at the gate for general entry while those who want a VIP experience will have to part with $75. "We have heard no refunds from those who bought tickets last time so people trusted us fortunately and more are buying tickets so we want to encourage those who haven't yet bought to do so and avoid the last-minute rush," said Zvirawa.